Oh, God! (1977, stylised onscreen as "Oh, God!") is a comedy film about an unassuming supermarket manager named Jerry Landers who is chosen by God to spread His message despite the scepticism of the media, religious authorities, and Landers's own wife. It inspired two sequels, Oh, God! Book II (1980) and Oh, God! You Devil (1984), both of which featured George Burns reprising his role as God. Directed by Carl Reiner. Screenplay by Larry Gelbart. Based on the novel of the same title by Avery Corman. I don't like to brag, but if I appeared to you just as God—how I really am, what I really am—, your mind couldn't grasp it. Trust me, like it says on the money. It's a policy of mine: I try not to work with more than one saviour at a time. I don't do miracles. They're too flashy. And they upset the natural balance. … The last miracle I did was the 1969 Mets. Before that, I think you have to go back to the Red Sea. That was a beauty. I only know what is. Also, I'm very big on what was. On what isn't yet, I haven't got a clue. I'll tell ya something never came out: I made Adam seventeen. Eve was fifteen—sixteen, tops. I figured then sixteen, seventeen was middle aged, you know. Who knew people would live so long? Trees I figured had the best chance. Now I realise they were kids—babies. Young people can't fall from my grace; they're my best things. Put that down. Jesus was my son. Buddha was my son. Muhammad, Moses, you, the man who said there was no room at the inn was my son. See also: meaning of life. I know how hard it is in these times to have faith. But maybe if you could have the faith to start with, maybe the times would change. You could change them. Think about it. Try. And try not to hurt each other. There's been enough of that. It really gets in the way. I'm a God of very few words and Jerry's already given you mine. However hopeless, helpless, mixed up and scary it all gets, it can work. Your Honour, I would like to call to the stand the Lord God. I went to empty the garbage and two people blessed me. And then one of them blessed the garbage. And then he asked me if our children were conceived immaculately. Jerry Landers: Who are you? God: [speaking through an intercom] You read the note. Jerry Landers: Who's that, Artie? Jerry Landers: Come on, Artie. God: No, it's me, God. God: Right, God. God Almighty. Big G.
God: [speaking through an intercom] How often do you talk with God? God: [speaking through an intercom] Well, you're not allowed to see me. Jerry Landers: That's no answer. God: [speaking through an intercom] Tobacco was one of my big mistakes. God: You try. Ostriches were a mistake. Silly-looking things. Avocados, made the pit too big. Like I say, you try. Jerry Landers: I don't belong to any church! God: [speaking through an intercom] Neither do I. God: [speaking through Jerry's car radio] Jerry. [Jerry, surprised, begins fiddling with the nobs] Do you want me to talk louder? God: I thought you didn't believe in me. Jerry Landers: Uh…that's just an expression. God: I'm more than that, and I want you to spread the word. Jerry Landers: You want me to tell people I've spoken with God? God: [speaking through Jerry's car radio] Yes. Jerry Landers: They'll put me away. God: [speaking through Jerry's car radio] You can do it, it's only one message. 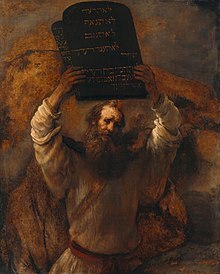 Moses had to handle ten. Jerry Landers: B-but you gave him tablets. God: He had a bad memory. God: Come take a look. Jerry Landers: I can't. I'm naked. God: You think I don't know what you got? That was another little goof of mine: shame. I don't know why I thought we needed shame. Jerry Landers: You don't control our lives?! God: I gave you a world and everything in it. It's all up to you. Jerry Landers: I don't believe the Red Sea, and I don't believe six days to create the world. God: Tell you the honest truth, I thought about it for five days and did the whole job in one. Jerry Landers: How can you permit all the suffering that goes on in the world? God: Ah, how can I permit the suffering? God: I don't permit the suffering, you do. Free will. All the choices are yours. Bobbie Landers: Oh, God "doesn't care about religion"? Jerry Landers: Well, that's what He said. Court Clerk: You swear to tell the truth, the whole truth, and nothing but the truth? God: So help me, Me. Anybody who could turn Lot's wife into a pillar of salt, incinerate Sodom and Gomorrah and make it rain for forty days and forty nights has got to be a fun guy. Suppose—Just Suppose—God Told You To Spread The Word? Carl Reiner's "Oh, God!" is a treasure of a movie: A sly, civilized, quietly funny speculation on what might happen if God endeavored to present himself in the flesh yet once again to forgetful Man. He comes back this time looking and talking a great deal like George Burns, an improvement on his earlier cinematic incarnations. 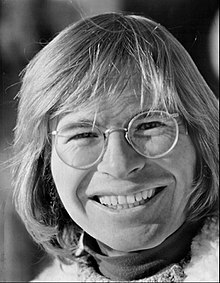 And as his contact on Earth, he selects a common man—John Denver, to the manner born. Roger Ebert, "Oh, God!," RogerEbert.com (1 January 1977).